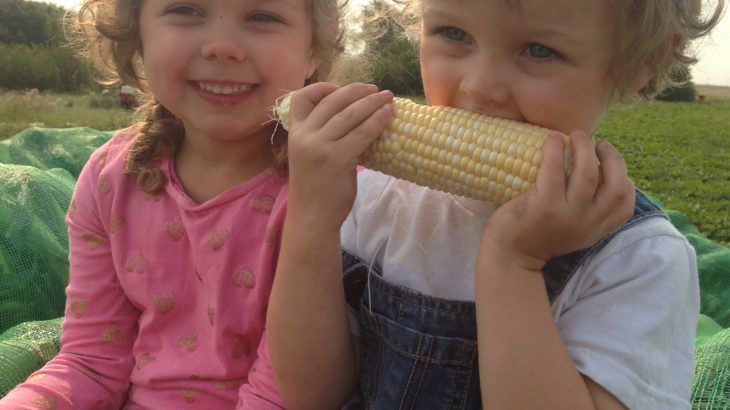 These kiddos LOVE Daddy’s CORN! Their favourite way to eat it is fresh right in the field. Sounds crazy?? You should try it! So YUMMY!! Try our corn at the Farmers’ Market mid to late August. Click here to find us.